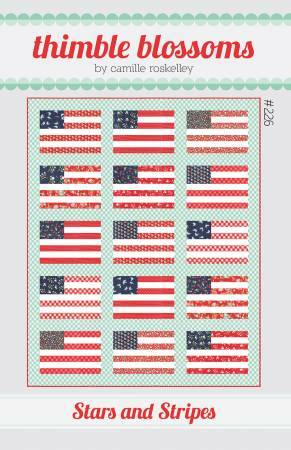 Kits > Stars and Stripes Quilt Kit 56" x 71"
This kit includes fabrics and pattern for the Stars and Stripes Quilt by Thimbleblossoms. Fabrics are similar to pattern front. Does not include backing (3 1/5 YDS) or binding (5/8 YD).